By applying the principles of servant leadership early in his career, Ken Coopwood, Sr. “Dr. Coop” has excelled rapidly in the fields of diversity education, administration, leadership and identity development. A diversity educator and trainer since 1992, Ken has conducted numerous presentations for the benefit of personal identity development, workplace innovation and global atonement. He is a nationally known leader noted for holding a variety of high-energy and fun activities that fuse personal esteem with education and identity awareness. 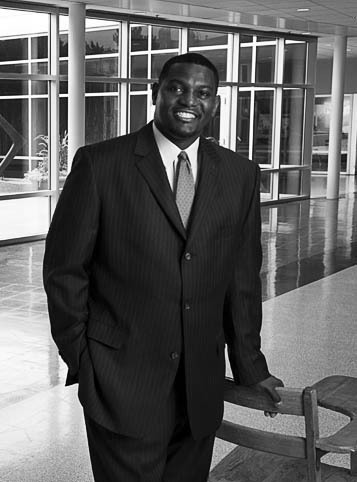 Ken is a motivator whose efforts have afforded him recent honors such as being named one of 12 People to Know in 2012 in Springfield Missouri, Society for Diversity Member of the Year in 2014, Selection to the National Advisory Council for The Academic Network and National Visionary Award by Insight Into Diversity Magazine in 2015. Dr. Coopwood has served in higher education since 1989 and has held many leadership and civic roles including senior-level responsibility at two Indiana public universities and another in Missouri. He currently serves as a Vice President for Diversity and Inclusion at Missouri State University (MSU) where he is the first African American to hold a senior title in that institution’s history. At MSU he has been successful at launching the first Division for Diversity and Inclusion and authoring programs for Diversity Fellows, faculty mentoring, and underrepresented recruitment and retention. He also created the first statewide Collaborative Diversity Conference, completed the first regional campus and community climate research initiative and led the campus to its first national award for diversity excellence. Ken has brought transformative impact to numerous youth development, professional and government agencies engaged in identity constructs as a means to affective change. He is a certified as a diversity executive, lean six sigma black belt, creative problem solver, adaptation innovation consultant, diversity return on investment professional and a brain dominance instrument consultant. Dr. Coopwood has also conducted research using intercultural sensitivity constructs and is author of three books on diversity issues for youth. His articles have been featured in Diverse and Insight Into Diversity Magazines. Dr. Coopwood also serves on local and national boards. He is Dream Team Chair for the American Red Cross, Chair of Professional Development and conference planning member for the National Association of Diversity Officers in Higher Education, member of Sister Cities International Association and member of the National Advisory Council for The Academic Network. "In a nation where speculations of money, health, poverty and policy rank supreme in the conscience of the public mind, the most tragic and destructive display of human judgment is still that which conceals the absolute truth of a people."